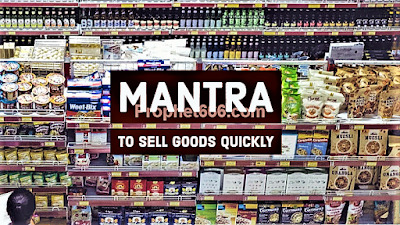 A unique Mantra Chant to sell or dispose of goods quickly has been described in this post. This Mantra is specifically meant for those traders, shopkeepers, business persons and others who deal in the sale and purchase of goods and commodities to sell their stock as soon as possible. Even thought, there are many such Mantra Chants of all kinds that are practiced for the same purpose, this Mantra has been published on this site for this purpose because of the ease and simplicity with which is can be practiced. 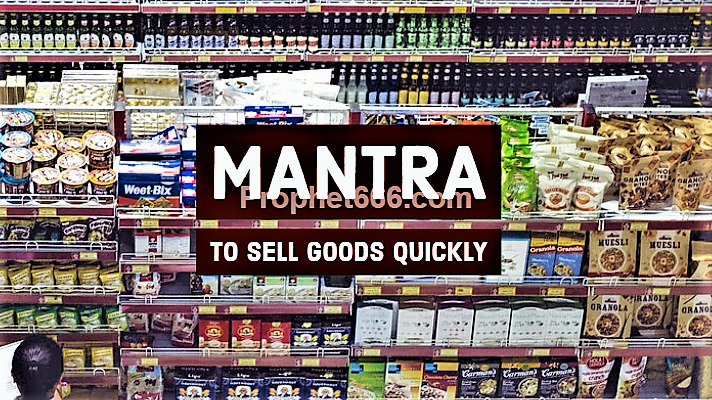 The procedure has been described below for the benefit of those people who wish to practice this Mantra Prayog in order to sell their goods or products quickly without wasting much time or effort. 1] There is no Siddhi Sadhana for practicing this Mantra Experiment and it can be practiced on any day without any kind of Puja-Vidhi, ritual or and kind of worship. 2] The practitioner has to take 7 tiny stones and hold them in the right hand and infuse them with the power of the Mantra by chanting the Mantra given below just 7 times. 3] Then, he has to mix these Mantra Infused stones in the goods he wishes to sell quickly. If the practitioner wishes to sell food grains or other edible commodities, then he has to ensure that the stones are so small that they will not cause harm to any person. Even, tiny mud particles can be used for this purpose. Notes- This is a cost effective and harmless paranormal remedy for quickly selling goods and commodities and if any of our readers attempts it and gets the desired results, then, he should share his experiences with other readers of this site. Mantras, Yantras and Remedies of all kinds for business and money related matters and problems can be in the sections on Wealth Mantras, Paranormal Remedies, Money Yantras and other sections of this site.